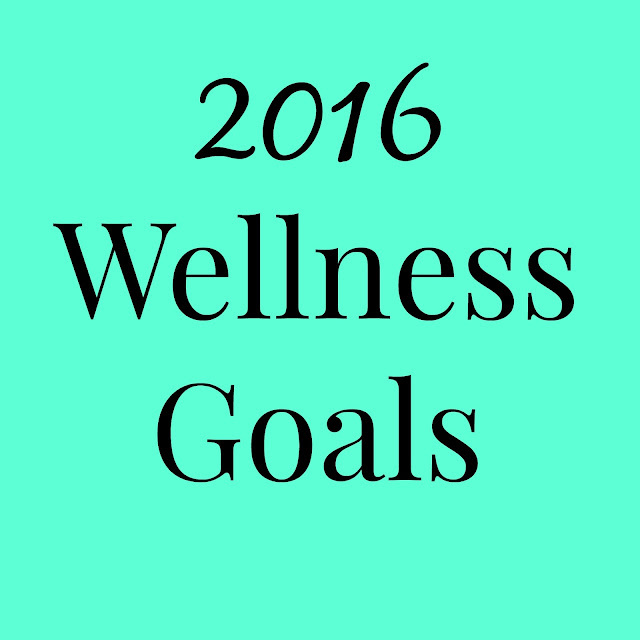 This year, my wellness goals are simple and lead to one major goal: to feel my best. I feel my best when I take care of myself which includes eating right, exercising, getting enough sleep and keeping stress to a minimum. My goals do not involve any crazy diets, losing weight, exercising like crazy or anything like that. I believe that the best way to feel your best is to focus on long-term goals and overall living healthfully. I love smoothies but I do not make them nearly enough. I always feel good when I drink a smoothie and need to do it at least 1-2 times per week. I hope to increase this when the weather gets warm. My favorite combination is ripe frozen banana, milk, baby spinach, vanilla protein powder and ice. Without getting too much into it, I have been much more stressed than usual since the beginning of 2016 related to my job. This has caused me to have more anxiety, lose sleep and not be as good of a wife and mom as I want to be. I am working on reducing this stress even though at this point, I do not know what the best option is for me. Stress can be very unhealthy and when I am feeling this kind of stress, trust me, I do not feel good at all. I already wrote about it a couple of times this year but I am trying to do more weightlifting and cardio. I am great at exercising daily but 90% of the time, this involves walking only. Since the beginning of 2016, I have been doing great on doing a bit of arm and ab work as well as incorporating small amounts of running in my exercise. I feel great when I get my heart rate up. With the blog, there is work that could be done 24/7. I am getting emails all day long, social media notifications and much more. It is so tempting to be on my phone or computer all the time which is something that I am working on. When my daughter is up and wants to play, I am now making sure that I am dropping everything and playing with her- an email can wait. Obviously there are times that I need to work but I am trying to limit it to mostly when she is napping or before she gets up. When I was pregnant with my daughter, I was great about taking my vitamins. Since then, not so much. I do not take a lot of vitamins but I do like to take a multivitamin, omega 3 supplement and sometimes a probiotic. To make sure that I take my vitamin daily, I am keeping it in a spot that I see everyday so I do not forget to take it. Check out the Nature Made website and sign up to be part of their Nature Made Daily Boost program. You will get emails for ideas of little changes to do daily to help you meet your wellness goals. There is a giveaway going on for 20 $50 Walmart gift cards from 1/28/16-2/15/16. Enter below. * I-C will randomly select 20 winners from all program entries and will handle fulfillment of the winning prizes.